A Time for Us opens with a shot of lotus roots and spices being boiled in a pot with dried chili and peppercorns––the muted reds and murky water cutting to a dimly lit room, lived in yet lacking a life well-lived. From the cinematography alone, I was sold. There is something about the subdued, faded hues in Alvin Lee’s A Time for Us (tr. 萍水相逢), as they imbue a sense of quiet domesticity and mundanity yet a stark realism in the scenes taking place in this 30-minute short film. Masterfully made, it took me by surprise to learn that A Time for Us was Lee's thesis film for the culmination of his studies at the renowned Beijing Film Academy. Having had its premiere at last year's Singapore International Film Festival under the Southeast Asian Short Film category, the film also won the Special Jury Award at Romanian film festival Cinemaiubit. The accolades are certainly well-deserved. A Time for Us tells the story of Bai Li Juan (played by Pan Ruo Yao), a single mother from the countryside who has come to Beijing to procure a Beijing Hukou, or a residency permit, for her unborn child through the black market. Given the existing stigma in China towards children born out of wedlock and towards single mothers altogether, her child isn’t entitled to a residency permit unless she’s married, forcing her to enter into a paid marriage in the hopes of attaining the permit. Indeed, as she waits to meet the other half in this marriage, a neighbor in his building looks at her with scorn. Li Xing Zhou (played by Qi Chao), the man whom she must marry is unable to speak. Writing in a notebook to answer her questions, he is patient with her as she is with him. There is a tenderness between them from the start, irrespective of the circumstances that have brought them both together––necessity binds them, as do their social stations. Li Xing Zhou is ostracised, derogatorily labeled as "the weird man" by his neighbour's young son––the same neighbour who looked at Bai Li Juan with practised scorn. It speaks volumes of the way in which prejudice is learned and inherited. Both outsiders on the fringe looking in, at most, Li Xing Zhou and Bai Li Juan have one another. Though their interactions are measured infused with the slightest tinge of awkwardness, they share a moment in a park as they dance with some elderly couples. For the first time in the film, Li Xing Zhou is coaxed out of his isolated world, where self-reliance manifests as a means of psychological and emotional protection––we see him smile, as Bai Li Juan takes his hand and they begin to dance. Over time, actions which he would have done on his own take on another meaning: the act of washing dishes, of cooking, begin to mean something else when they are done for someone else rather than for oneself. Similarly, food plays a pivotal role in the film, as it facilitates progression in the (temporal) relationship of these two characters, enabling forgiveness and atonement. The act of cooking evokes both kindness and even acceptance, as we see at the end of the film. Bai Li Juan is a formidable character. In spite of her circumstances, she perseveres in the hopes of something better. As the two characters sit in the dark during a blackout, she tells Li Xing Zhou, "This child is mine, I believe I alone can give him and or her the best and what I couldn’t have". It's a powerful thing to assert, given the context in which she is situated, with all the odds that are stacked against her. It takes a great deal of accountability to voluntarily take on the burden of exclusion and I would not go as far as arguing that doing so is part of the burden of motherhood and the selflessness that arises out of that. Her character embodies that idea that circumstances do not need to shape who you become as a person––that even though cruelty is all you've ever known, it doesn't mean that cruelty is what you give onto others. Instead, she makes the most of the cards that she's been dealt and does so with kindness, bringing Li Xing Zhou out of his shell. Towards the end of the film, as they sit in silence on the drive to the train station, Bai Li Juan peacefully looks out of the window, knowing in the end that she has done what she can do to give her child the best possible life. By the end of the film, Li Xing Zhou, too, is transformed by the experience. Qi Chao acts the part very well, a quiet confidence now emanating from the character by its final few minutes. 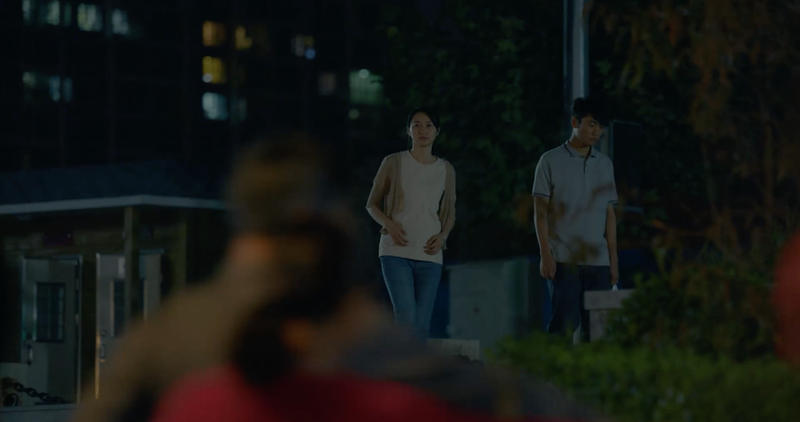 Lee's direction depicts this well, giving the character ample screen time for moments of reflection as he observes Bai Li Juan as she washes the dishes, as he lovingly cares for his plants, as he begins to put the toilet seat down now recognising that he is not alone as he as always been, and tidying his flat, placing greater care in his surroundings. These are simple acts and stolen moments, but they allude to growth. Without spoiling it for you, what takes place in the final few seconds of the film simply shows that no matter how temporal or transactional, relationships are relationships all the same. We leave parts of ourselves with those we come in contact with––whether kindness or cruelty––and it lingers. SINdie took the time to speak with Alvin Lee to discuss his craft and the story behind A Time for Us. Read on for more. 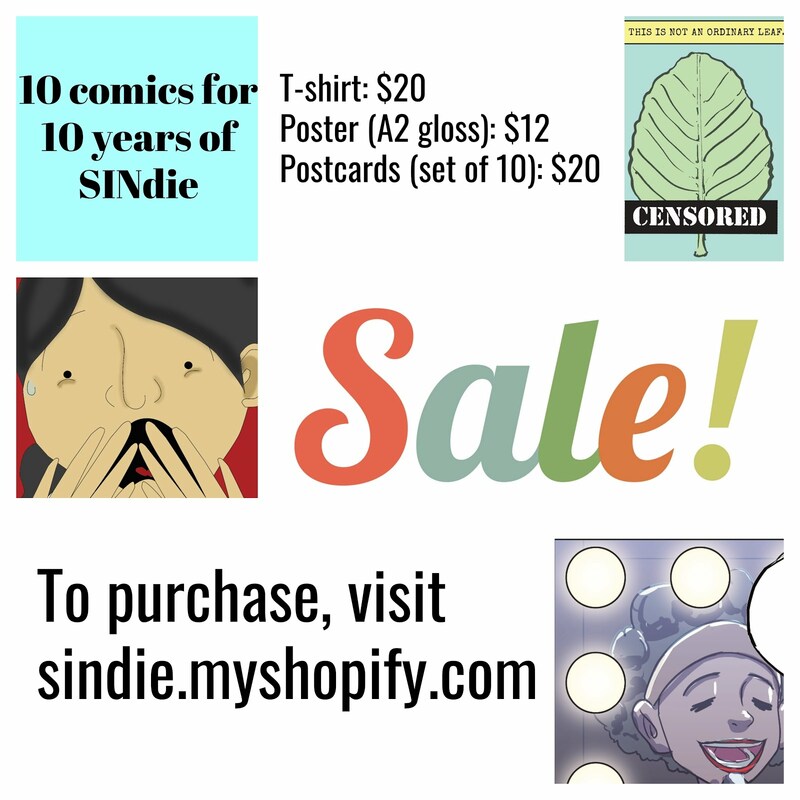 SINdie: What made you decide to tell this story? Alvin Lee: A Time For Us was my thesis film as part of my studies at the Beijing Film Academy. To graduate, as a directing student, I had to shoot a short film. While I was thinking of a story for my film, I stumbled upon a Chinese article about a man entering into a sham marriage so that the opposite party's children could get the desired Beijing Hukou (residency permit). The article left a deep impression. I'm very interested in telling a story with an Asian sensibility, characterised by minimal dialogue, hence the nature of the male character, Li Xing Zhou, who does not speak. Why the short film medium? There are a lot of storylines here that could have been extended to a feature length film. As this was my thesis film, the concept and story were originally conceived for the short film medium but I do agree that there are possibilities of extending it longer. Who or what inspires you as a filmmaker? There are many filmmakers like Yasujiro Ozu, Terrence Malick, Andrei Tarkovsky, Hou Hsiao Hsien, to name a few, who inspire me as a filmmaker. As a whole, it's really my family, friends, and the people around me who keep me going. I liked the way in which you use mirrors a lot throughout the film––to allow both characters to appear onscreen together even if they’re not engaging with one another. What does that signify to you? The Chinese title of A Time For Us is 萍水相逢 PING SHUI XIANG FENG, a Chinese idiom which means "strangers coming together by chance" and it can also be directly translated as two pieces of leaves floating on the surface of the water that come into contact with one another briefly. 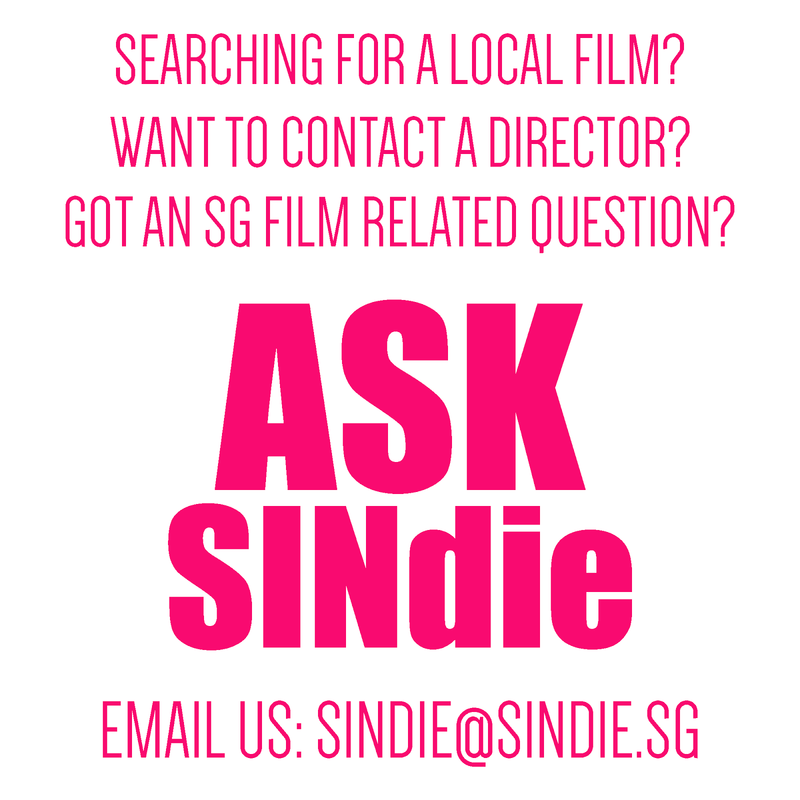 This gave me and my cinematographer, Yao Jie, the concept that would guide how we would shoot the film. In the first part of the film, before Bai Li Juan meets Li Xing Zhou, the camera movement is shaky as it represents the water current. When the two characters meet, the camera movement changes––it becomes still and smooth, much like the two pieces of leaves that can only float together smoothly along still water. You can only see a reflection on still water, hence the use of the mirror in the film. As a whole, the mirror is also used as a storytelling device and as a means of character development, as there's no dialogue for Li Xing Zhou. The mirror is also used to better reflect on what he thinks. 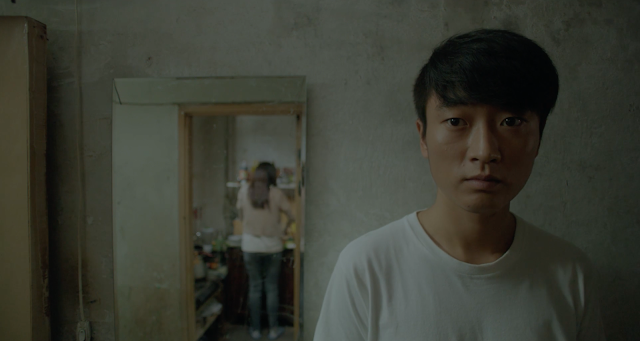 From a spatial perspective, we were also dealing with a very small space––70% of the film was shot in Li Xing Zhou's small apartment and the mirror was a way for us to expand and make better use of the space. In terms of the imagery, what role does colour play in the film? Was this something you actively thought about? I noticed that at the start of the film, the colours felt quite muted and over time, they came to grow brighter and more striking, culminating in the scene where the characters have their photo taken for the wedding permit. Color was not my primary focus for this film, but my cinematographer, Yao Jie, and I drew a lot of inspiration from the American painter, Edward Hopper, who is more well known for his composition and framing. 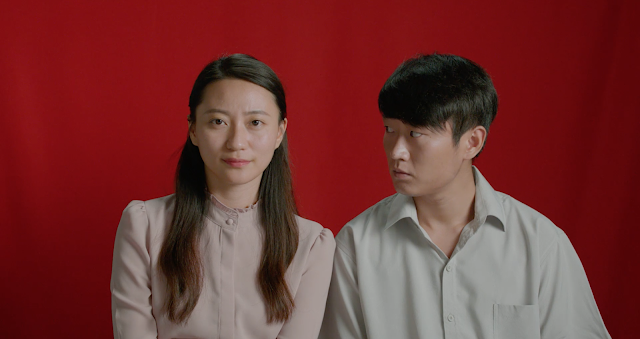 The red background in the scene where they have their photo taken is actually due to requirements for the marriage permit––couples need to take a portrait together against a red backdrop to paste into their marriage booklet. A Time for Us can be interpreted as a commentary on the nature of prejudice upon the marginalised––whether it be those who suffer from a handicap or go against conservative social mores, such as Bai Li Juan who decides to have her child even though she’s unmarried. How would you say this is reflective of what life is like in big cities in China, such as Beijing, today? When I first started school at the Beijing Film Academy in 2014, I experienced a great deal of culture shock. For example, I didn't know that Hukou was of such great importance to Chinese people and that your life and even your child's life are greatly dependent on it. It impacts the type of work you're able to do and the type of school you're able to attend. In Singapore, we're all just Singaporean and we wouldn't be categorised in such a way based on where we live––whether it's Yishun, Tuas or Bedok, it wouldn't matter. Despite the stigma, I think it’s very empowering that Li Juan decides to have her child. Would you say it’s common for women today to rise against the stigma as she has? I have friends and people around me who are single mothers and I've seen first-hand how they've really sacrificed a lot for their children. To me, this is very touching and inspiring. I think subconsciously it came to also inspire my film. A Time for Us | 萍水相逢 is screening under Chinese Shortcuts / Once Upon a Time under the Singapore Chinese Film Festival, tonight at 8pm at the Arts House.